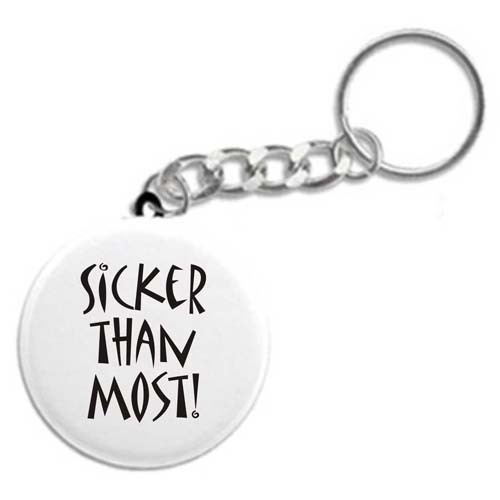 Sicker Than Most - Recovery Keychain - Key chains, Key Fobs, and fun 12 Step Gifts! A fun and funny recovery keychain for anyone in the program! We all know someone who's just a little sicker than most anyone else! ...and it might just be that "someone" looking back at us in the mirror? Excellent for newcomers and old timers alike!